Tulsa Tough 2010, originally uploaded by dsjeffries. The end of winter is upon us, and I find myself yearning for summer’s hot weather to get here. 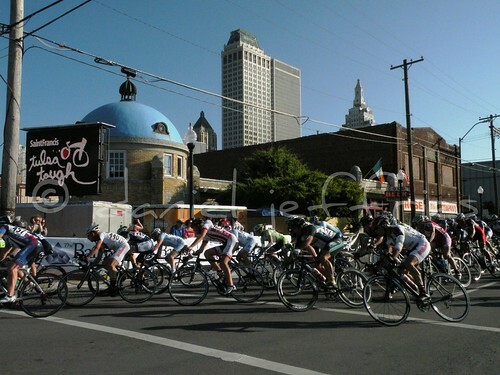 Tulsa Tough, the searing sun, the radiating pavement, and yes, even the humidity. I’m tired of sub-zero temperatures and bone-chilling wind. Bring on the heat. 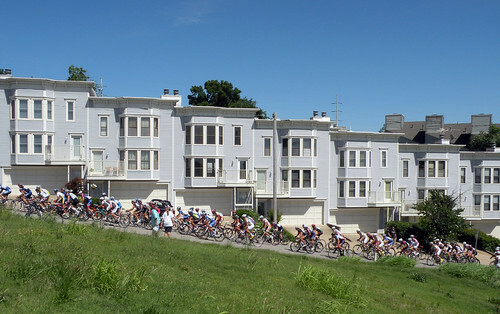 Tulsa Tough 2010 – I Did It! Tulsa Tough 2010 – I Did It!, originally uploaded by dsjeffries. I completed my very first biking event–I did the 50km ride through the hills west of Tulsa. The 50km ended up being 63km because I accidentally took a wrong turn–up a series of tall, steep hills–and had to back-track. 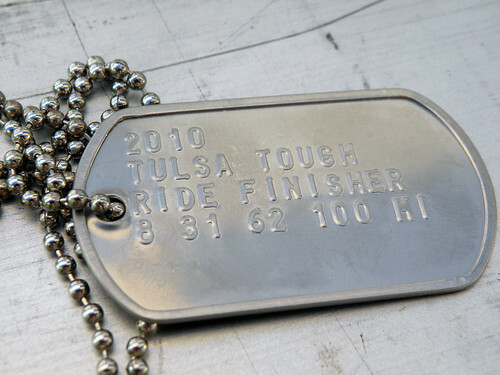 I ended up finishing in 2:52:00 and this dog-tag is proof that I’m Tulsa Tough. It was one of the hardest things I’ve ever done, and I’m very proud that I was able to finish it. I was fortunate to have my friend Carol ride with me. She kept me going through it all, and I wouldn’t have been able to do it without her by my side. I was able to do it without my own bike (I borrowed a friend’s), without biking shorts, without clipless pedals, without a water bottle of my own, and without preparation or training, but I couldn’t have done it without Carol. I’m looking forward to biking more this year on my new bike that I’m about to buy, riding to work and restaurants downtown and along the trails. I hope to become more fit and lean, and by this time next year, who knows, maybe I’ll be ready to do the 100km Tulsa Tough ride! Posted on June 9, 2010 April 14, 2012 Categories Photography Posts, UncategorizedTags bicycle competition, bike race, crybaby hill, dog tag, health, riverview tulsa, sports, tulsa, Tulsa Tough, Tulsa Tough 2010Leave a comment on Tulsa Tough 2010 – I Did It!